At the 225th. rededication ceremony of Oban Commercial No. 180 held at Oban on Saturday 1st. October 2016. Photo by Bro. Stewart Cruickshanks. 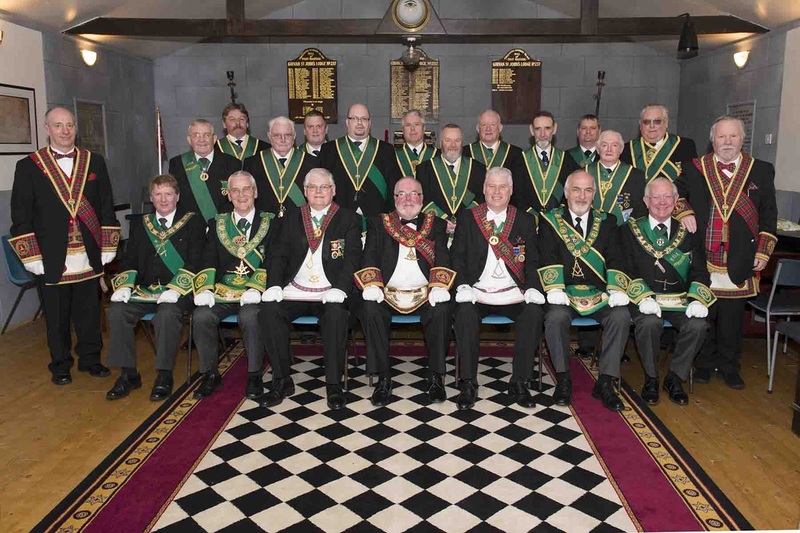 At the Installation of Brother Murray Hunter as R.W.M. of Lodge Stincher Valley No. 1705 held in Girvan on Saturday 21st March 2015. Photo by Brother J. Stewart Cruickshank. 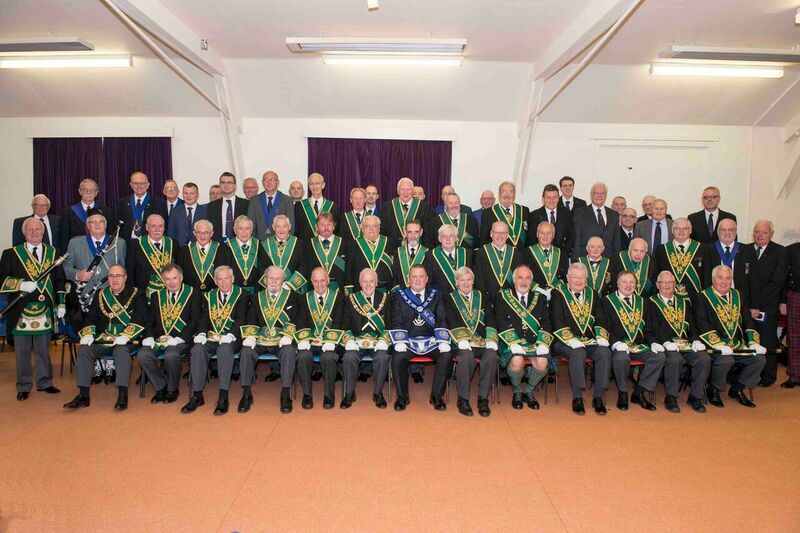 On Saturday 19th April 2014 at the Installation of elected Office-bearers held at Dunoon, the I.P.P.G.M. of the Province of Ayrshire, Bro. Archibald Chalmers presented the P.G.M. with a photo taken at the P.G.M. 's Installation in Campbeltown. The photo is of the P.G.M. 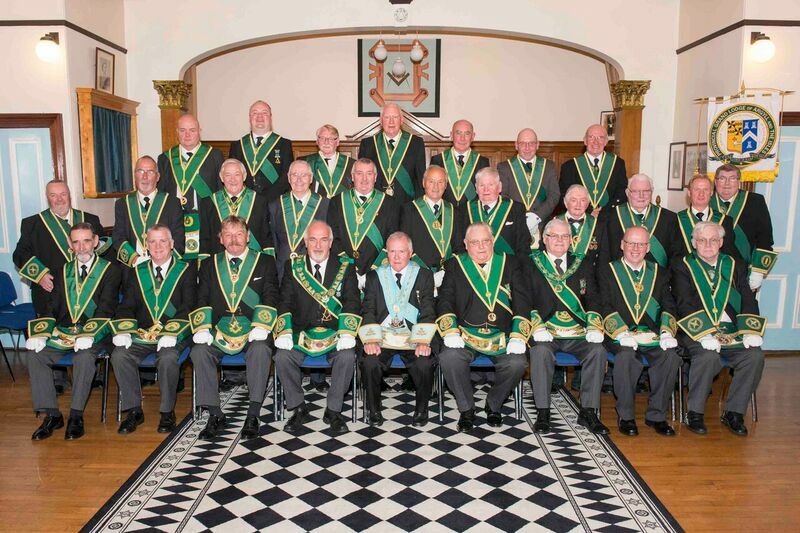 and the Members of his Mother Lodge (141). This was presented by Bro. Chalmers on behalf of himself, Bro. George Reid and Bro. Stewart Cruichshank. Photo by Bro. Stewart Cruickshank. 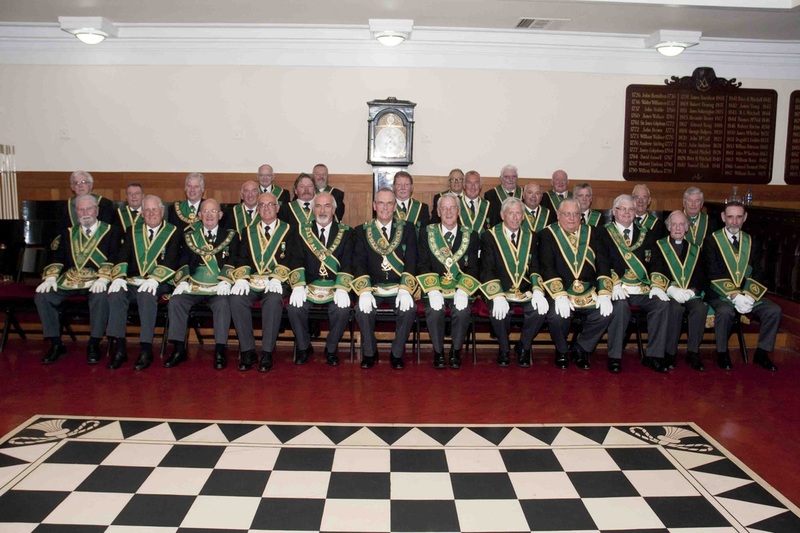 At the Installation of elected Office-bearers held at Dunoon on Sat. 19th April 2014. 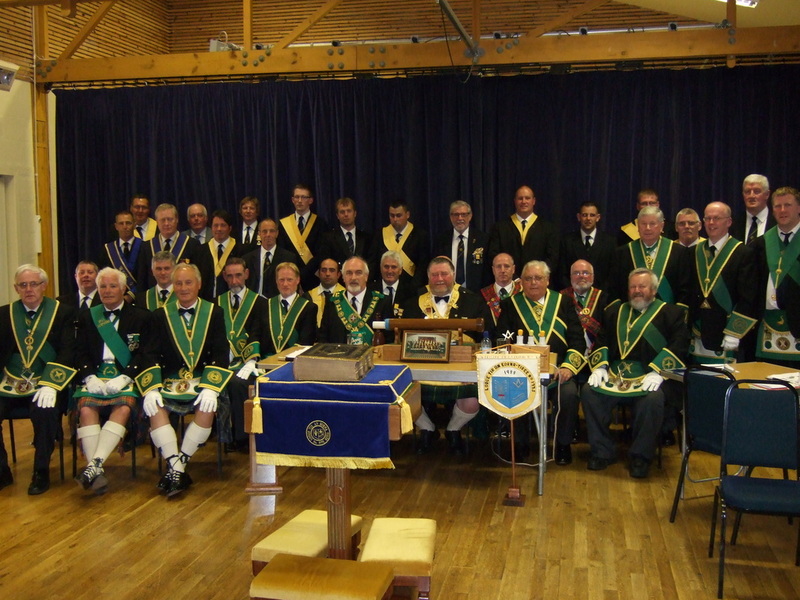 Installation of Elected Office-bearers held at Oban on Saturday 20th April 2013. (Photo by Stewart Cruickshank). At the Centenary meeting of Lodge Kyles of Bute No. 1120. Saturday 4th May 2013 at Portavadie Marina. The Deputation from Sister Provinces was headed by the R.W.P.G.M. Brother Kenneth R. Johnson. (photo by Stewart Cruickshank). 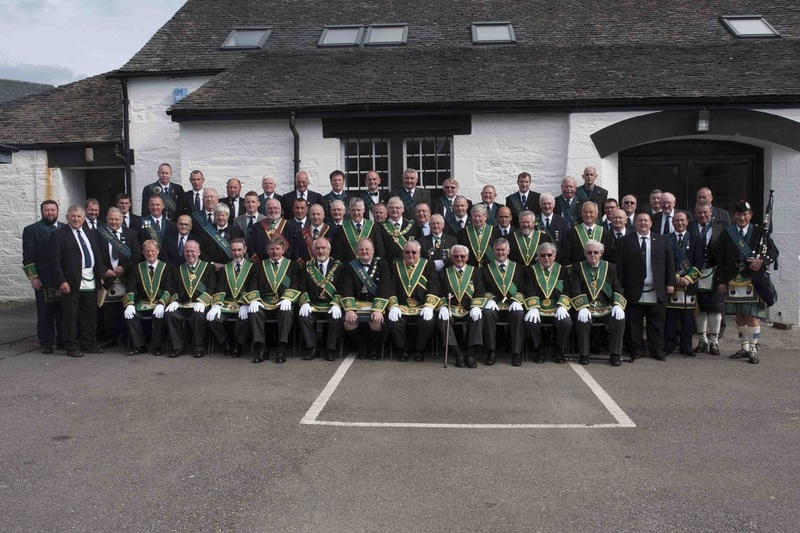 At the 125th re-dedication ceremony of Lodge Lochfyne No. 754 on Saturday 24th August 2013. (photo by Stewart Cruickshanks). At the Installation of Bro. Neil Fraser as Provincial Grand Master of Renfrewshire East on Saturday 18th March 2017. Bro. Donald S. Bannatyne D.P.G.M., Bro. Douglas T. Philand S.P.G.M. and Bro. John D. Corbett P.G.D. of Ceremonies. Photo by Bro Stewart Criuckshanks.